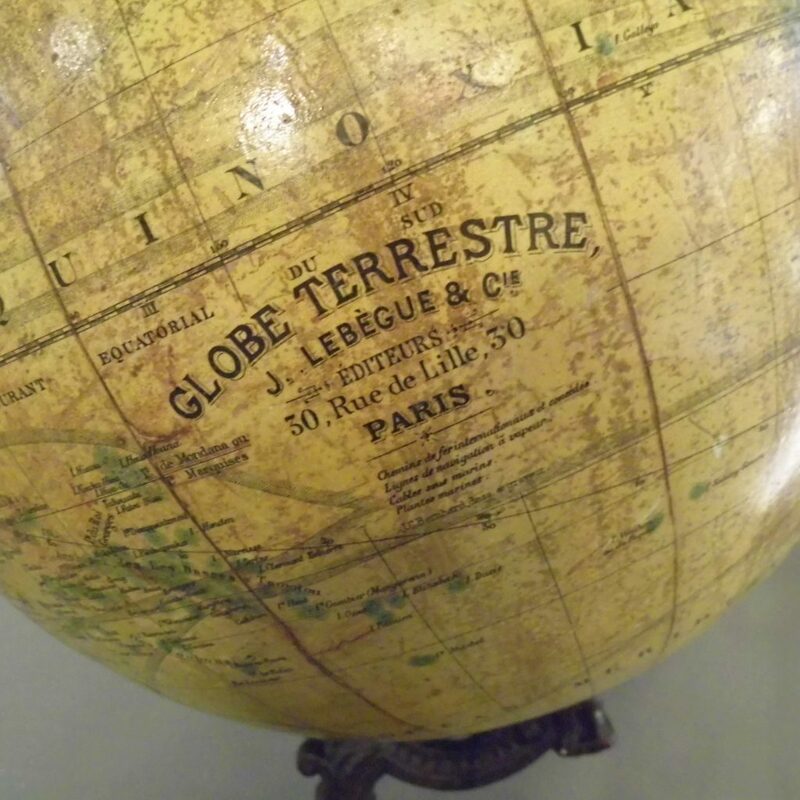 A fantastic and early Globe Terreste J. Lebegue. 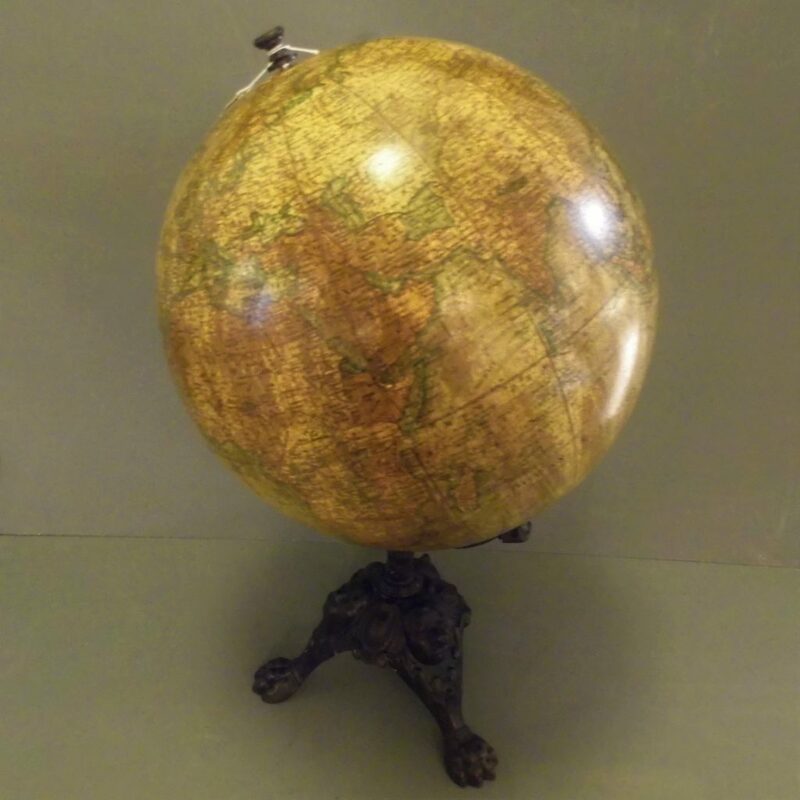 This large terrestrial globe was made by J. Lebegue of 50 Rue De Lille Paris circa 1895 and has a distinctive cast iron tripod base depicting peoples of different ethnicity. This globe also has Australia humorously marked as “Nouvelle Hollande” ( it had ceased to be referred as New Holland about 1840) presumably the French were having a little fun here! 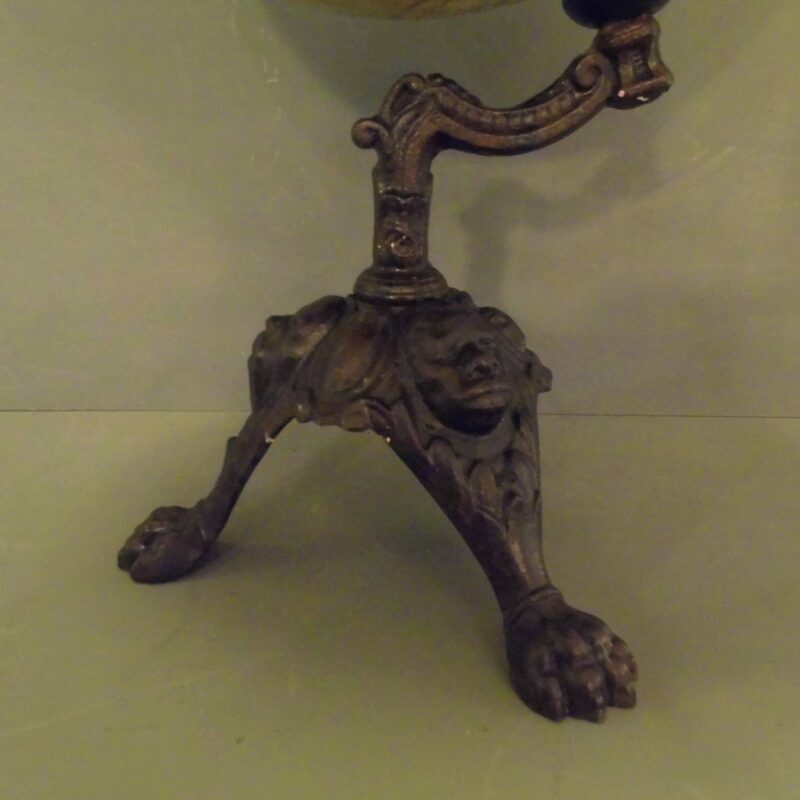 Large C19th Century globes are becoming increasingly hard to find and this is a very nice example. It has had a little restoration where the frame had rubbed against the outer edge of the Antarctic and the colours have faded a little but is in very presentable condition .